Long known as one of the standard collections of etudes for horn, this work is published in two volumes and contains studies that are progressive in level. 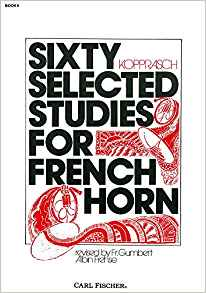 Complete with editorial markings and remarks, this work is sure to help improve the technique of the developing French horn student. These exercises are progressively more challenging, increasing the technical development of players.